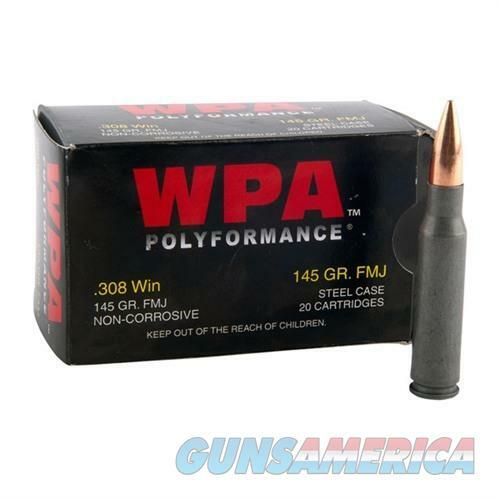 Description: Wolf MC308FMJ145 POLYFORMANCE AMMO 308 WINCHESTER 145GR FMJ Wolf Ammunition is great for high-volume shooting and is made for reliable ignition in adverse conditions. Copper-washed steel case resists corrosion and ensures smooth feeding and extraction. Polyformance line has a slick polymer coating that further enhances smooth chambering/extraction. Non-corrosive powder and primer won't damage the bore.